Professor Fothergill is a playwright, critic and theatre historian. His drama,Detaining Mr. Trotsky, about the internment of Leon Trotsky in a prison camp in Nova Scotia in April 1917(Canadian Stage Company, Toronto, 1987), won a Chalmers Award and several Dora nominations. Public Lies (Tarragon Theatre, Toronto, 1993), also nominated for a Chalmers Award, addresses issues of truth, propaganda and media manipulation by dramatizing episodes in the Canadian career of John Grierson, documentary film pioneer and founder of the NFB. Borderline, set in a refugee camp on the border of Rwanda and Tanzania, won second prize in the 1999 Herman Voaden Canadian Playwriting contest and was professionally workshopped under the direction of Bill Glassco. It was mounted at Toronto’s SummerWorks theatre festival in 2004. Rob Fothergill’s most recent play is The Dershowitz Protocol, an examination of the ethics of torture in the context of the current ‘war against terror’. The Dershowitz Protocol was presented at the SummerWorks festival in 2003 and received its U.S. premiere at the Downstairs Cabaret Theatre in Rochester, New York, in June 2006. Other writings include Private Chronicles (Oxford 1974), a critical study of English diaries, and a chapter on Radio and TV Drama in Volume 4 of the Literary History of Canada (University of Toronto Press, 1990). 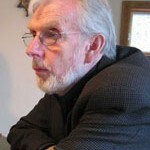 Teaching dramatic literature and criticism, Professor Fothergill was a long-time member of the English Department at York University’s Atkinson College before joining the Department of Theatre in the Faculty of Fine Arts 1994. He served as Chair of the Theatre Department from 1994 to 1999.